There’s a reason that Singapore is considered to be the most wheelchair accessible city in Asia. It’s an incredibly modern and cosmopolitan city-state with a strong commitment to ensuring wheelchair access, and while Singapore still has some work to do in some areas (doesn’t every country? ), it has been an absolute joy to explore. 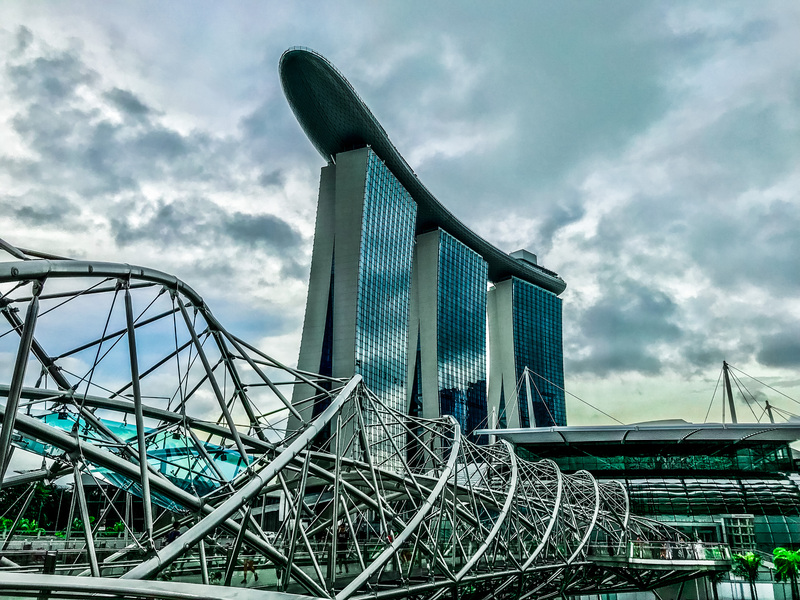 From the stunning skyline and lush gardens to endless dining options and ample shopping areas, there are plenty of exciting choices of wheelchair accessible things to do during your visit to Singapore. 1. 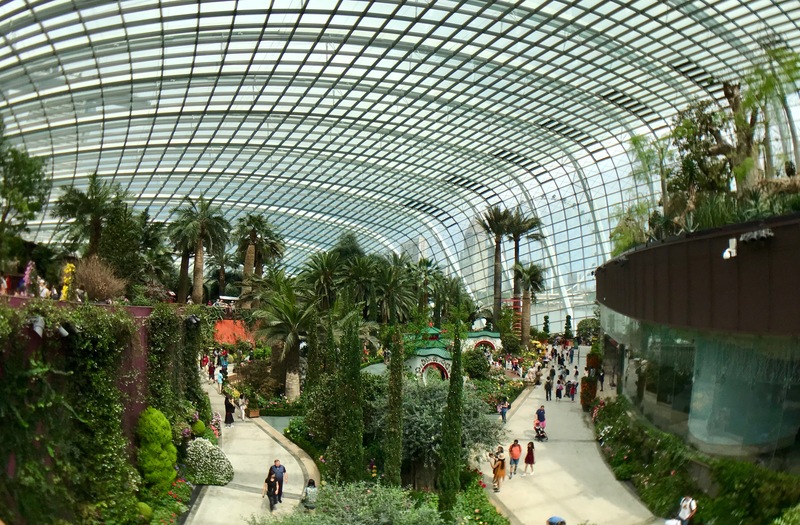 Gardens by the Bay. This is one of the most popular attractions in Singapore, and it’s easy to see why. A national garden and premier horticultural attraction for local and international visitors, Gardens by the Bay is a showpiece of horticulture and garden artistry that presents the plant kingdom in a whole new way, entertaining while educating visitors with plants seldom seen in this part of the world, ranging from species in cool, temperate climates to tropical forests and habitats. While there is much more to see, the biggest areas are the enclosed domes that house the Flower Dome and the Cloud Forest. There are ramps to almost every portion of the former, and the walkways in the latter are all wheelchair accessible. There are also small shuttles with space for one wheelchair that ferry visitors from the domes to the park entrance. 2. Supertree Grove. This is actually a part of the Gardens by the Bay, but I’ve listed it separately as it has a magic all its own. Measuring between 25 and 50 metres tall, these iconic tree-like vertical gardens are designed with large canopies that provide shade in the day and come alive with an exhilarating display of light and sound at night. 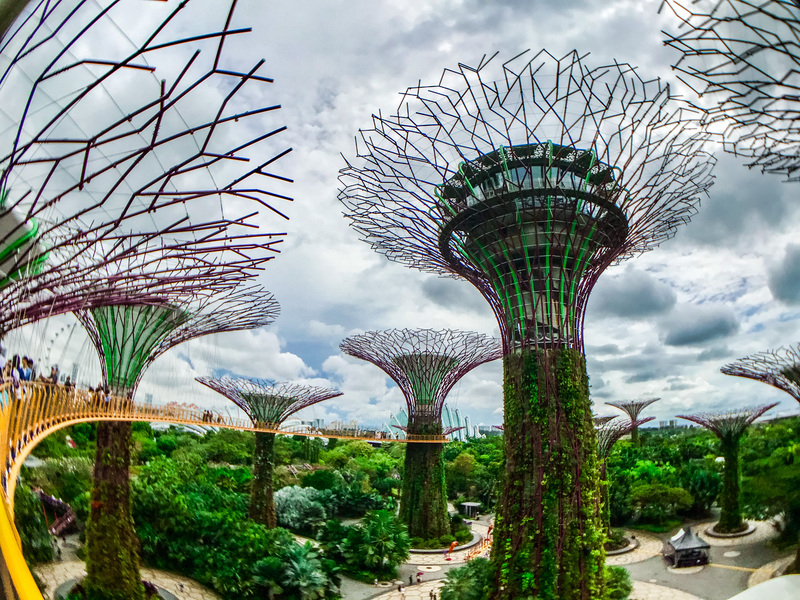 At a height of 22 metres, the OCBC Skyway at Supertree Grove lets you get an up-close look at the technical marvels of the Gardens’ futuristic Supertrees. The best part is that the Skyway is fully wheelchair accessible. As dusk falls, the captivating Marina Bay skyline emerges and the entire area comes alive nightly with Garden Rhapsody – a free light and sound show that you just can’t miss. 3. Marina Bay Sands SkyPark. This incredibly iconic hotel dominates the Singapore skyline, and is easily the most recognized landmark in Singapore. The Skypark is located on the 57th (top) level of the Marina Bay Sands, and offers absolutely spectacular views of Marina Bay and downtown Singapore. You do have to pay $23 SGD to access the Skypark, but I think it’s worth it. 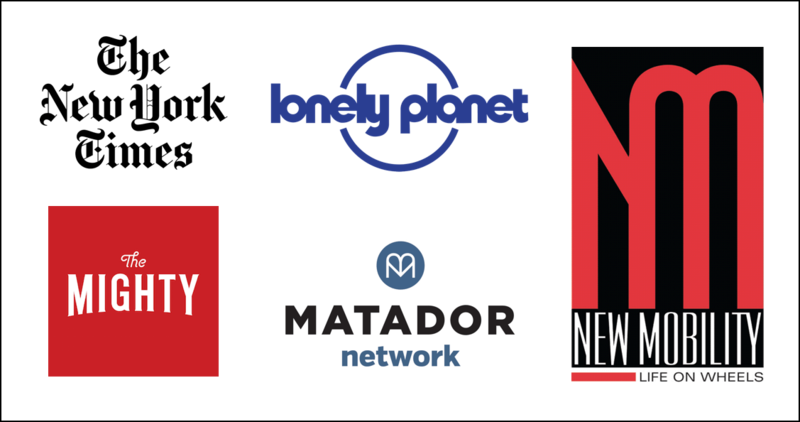 You can see the world-famous 150-metre infinity pool, the world’s largest outdoor pool at that height, eat at one of the fabulous restaurants, or do some shopping. The Skypark is open-air, so be cognizant of the weather before you buy a ticket. 4. Spectra Light and Water Show. I’ve seen a lot of light shows and water shows like the one at the Bellagio in Las Vegas. I thought Spectra was going to be just okay, but it was really impressive! Spectra is a free-to-public outdoor light and water show displayed over the water at the Event Plaza along the promenade. As the story unfolds before your eyes, you’ll be immersed in a beautiful symphony of music, water and light that’s powered by advanced lasers, fountain jets and visual projectors. The best views are from the Event Plaza itself at the base of the Marina Bay Sands, right in front of the MBS mall, although some people like to watch it from across the Bay. You can’t access the tiered seating at Event Plaza, but there is a ton of space on the wide wooden deck right in front of the fountains. 5. Merlion Park. 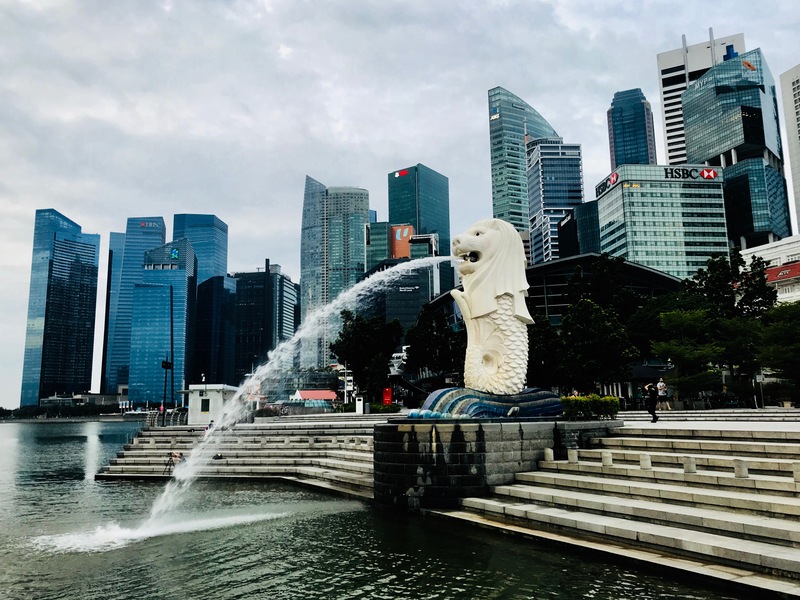 Singapore is called Lion City, and everywhere you’ll see images of Singapore’s national icon, the mythical Merlion with the head of a lion and the body of a fish. The body symbolises Singapore’s humble beginnings as a fishing village when it was called Temasek, meaning ‘sea town’ in Old Javanese. Its head represents Singapore’s original name, Singapura, or ‘lion city’ in Malay. Today, you can glimpse this legend at Merlion Park. Spouting water from its mouth, the Merlion statue stands tall at 8.6 metres and weighs 70 tons. 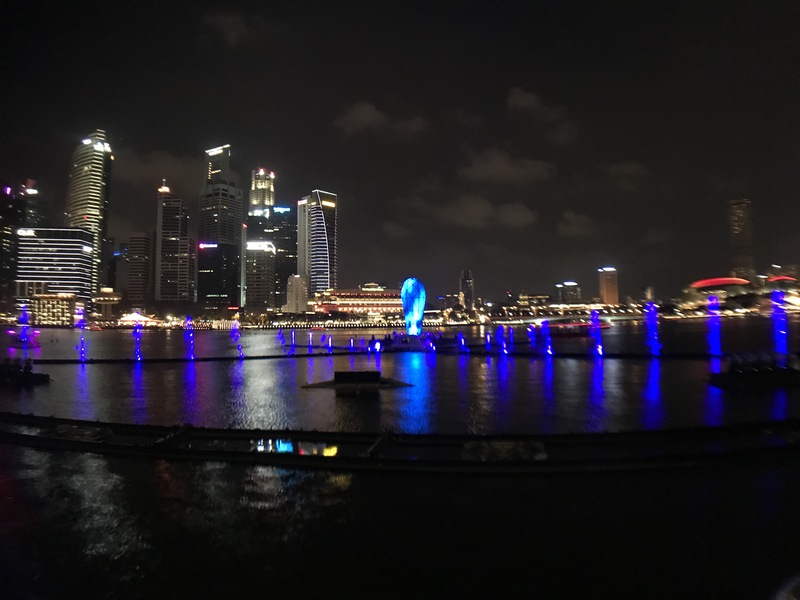 in 2002, the Merlion was relocated 120 metres away from the original position to where it stands in fully accessible Merlion Park today, in front of Fullerton Hotel and overlooking Marina Bay. The Park also offers unparalleled views of the MBS hotel and the theatres at Esplanade Park. 6. Singapore Flyer. Standing at a stunning 165m, Singapore Flyer is the height of a 42-storey building – that’s some 30 metres taller than the famed London Eye, and the tallest observation wheel outside of the US. Taking a flight on this SGD $240 million wheel is a one-of-a-kind experience you wouldn’t want to miss. As the wheel turns, you’ll be treated to a visual 360° feast of iconic and historical landmarks and views from the Marina Bay to the Singapore River, Raffles Place, Merlion Park, Empress Place and the Padang. There are also dining options and other cool attractions at the base. Singapore Flyer has ramps, lifts and handicapped toilets, making it easy for those in wheelchairs to get in, out and around the Flyer. Each capsule can accommodate up to 5 wheelchairs and 15 other visitors. When you board the Flyer, staff members will be more than happy to adjust the speed of the wheel so that you and your caregivers can board smoothly. 7. Helix Bridge. The visually stunning and wheelchair accessible Helix Bridge is a unique feature in Singapore that has been strategically placed around Marina Bay Sands, Gardens by the Bay, the Singapore Flyer and the Bayfront Bridge. Throughout the bridge, four different inner spirals are utilized to create a shade for pedestrians walking across the bridge. Viewing platforms are also incorporated into the design to provide pedestrians with a way to enjoy and photograph their views from the Helix Bridge. Each night the Helix Bridge is lit to provide a beautifully lit walkway that can be enjoyed by visitors both during the day and at night. Unlike any other bridge in the world, the Helix Bridge provides visitors with a visually stunning experience that enhances the beauty of the surrounding area. The sheer volume, unique beauty and incredible complexity of its design makes the Helix Bridge a must see attraction for all visitors to the Marina Bay area in Singapore. 8. ArtScience Museum. 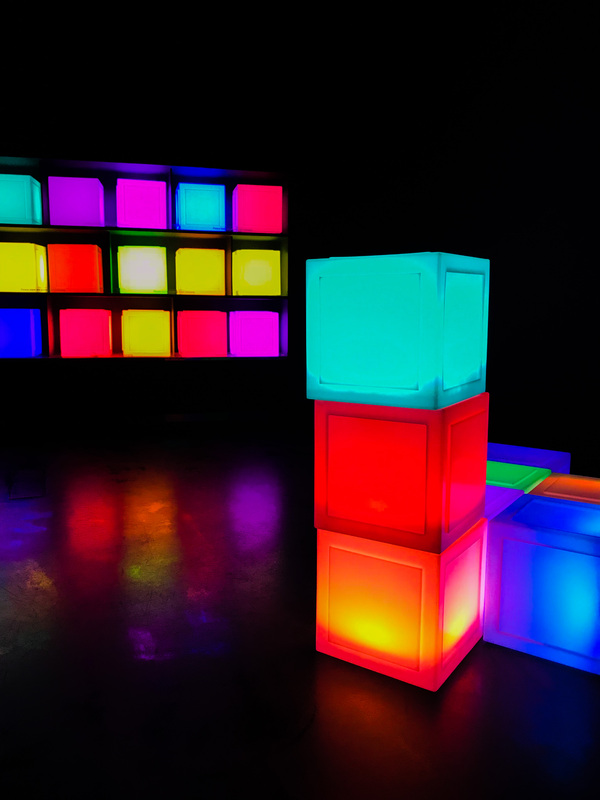 The ArtScience Museum at Marina Bay Sands explores creative processes at the heart of art, science, technology and culture, and their roles in shaping society. An iconic presence along the Marina Bay waterfront, Artscience Museum is a living, breathing embodiment of the ArtScience theme. Through programmes of exhibitions, events performances and education activities, the Museum strives to illuminate the processes at the heart of art and science, and their far-reaching influence in the world we live in. The building form is made up of 10 “fingers” anchored by a unique round base in the middle. The design of each finger reveals different gallery spaces featuring skylights at the “fingertips” that illuminate the dramatically curved interior walls. There is a huge elevator to all the floors and accessible toilets throughout the museum. 9. National Museum of Singapore. Singapore has a fascinating history, and the National Museum is the place to go to learn all about it. 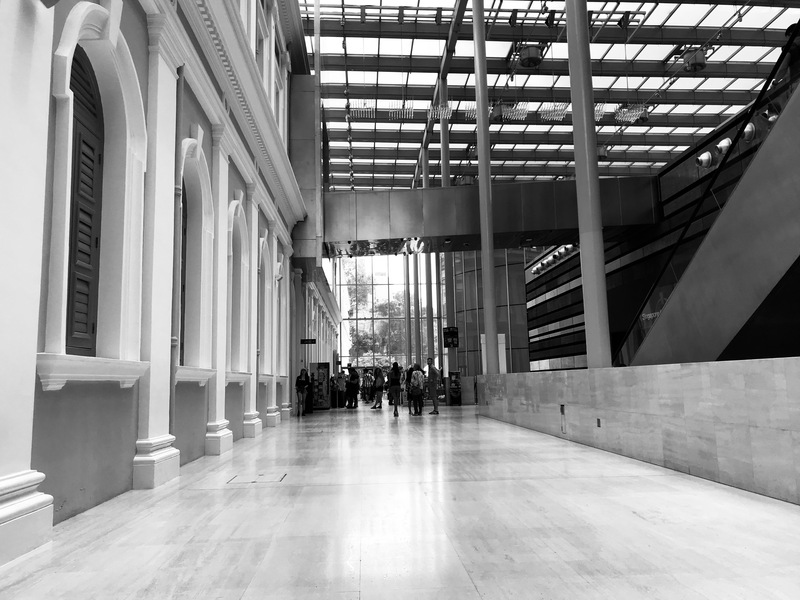 With a history dating back to 1887, the National Museum of Singapore is the nation’s oldest museum with a progressive mind. Beneath its 19th-century colonial exterior, it uses cutting-edge technology to present the nation’s legacy and development. Its galleries highlight fresh perspectives of the Singapore story as they take you on an immersive voyage – one where creative storytelling redefines the conventional museum experience. The wheelchair entrance is located down the car park ramp to the north of the main entrance. Just inside that door is an accessible toilet, and elevators and ramps provide access to all levels of the museum, including the impressive rotunda. 10. Singapore Zoo. For over 40 years, visitors of Singapore Zoo have immersed themselves in one the most beautiful settings in the world, where animals roam freely in open and natural habitats. Covering 26 hectares, the park is home to over 2,800 animals representing over 300 species. Singapore Zoo was named #1 Zoo and Aquarium in Asia and #3 globally in the Travelers’ Choice Awards in 2015. Set in a rainforest environment, Singapore Zoo is renowned for its ‘open concept’, which offers visitors from around the world the opportunity to be inspired by the wonders of nature and wildlife. Animals here live in spacious and landscaped environments, simulating that of their natural habitats. The zoo is fully wheelchair accessible, and also offers wheelchair and electric scooter rentals. 11. Chinatown. Pockets of history remain in Chinatown, along with more modern sights. You could easily spend a few days wandering through these still-narrow streets. If you’re a foodie, try ‘char kway teow’ (stir-fried noodles) and ‘satay’ (barbecued meat skewers) at Chinatown Food Street, a row of hawker stalls, shophouse restaurants and kiosks along Smith Street. Want to shop? Buy souvenirs in Pagoda Street, ‘bak kwa’ (barbecued meat) in New Bridge Road or traditional Chinese medicine in South Bridge Road. 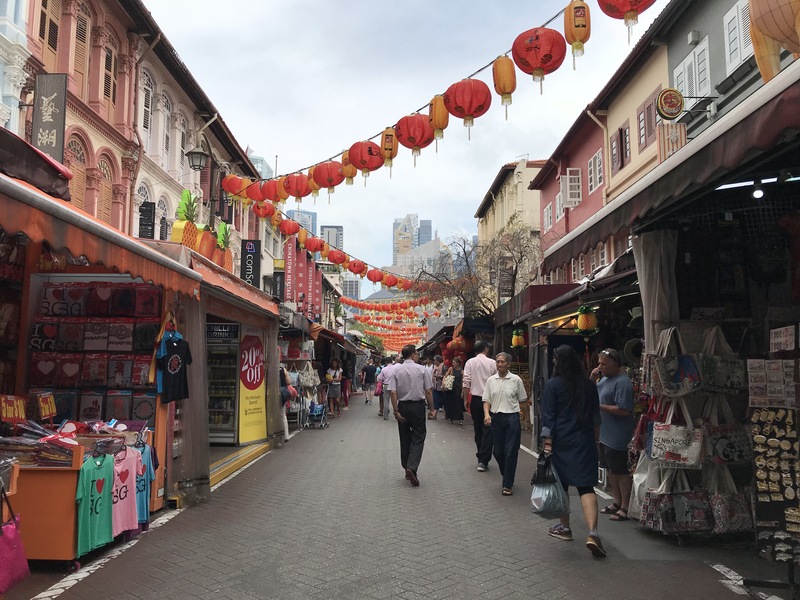 Before visiting Chinatown, I was a little apprehensive that it wouldn’t be as accessible as the parts of Singapore I had already visited closer to Marina Bay. While it was far from perfect, I was able to roll along the sidewalks and curb cuts from the Chinatown MRT station through the People’s Market, then over to the pedestrian areas filled with tons of shopping stalls and food vendors. Does wheelchair accessible Singapore sound like the perfect exotic travel destination for you? 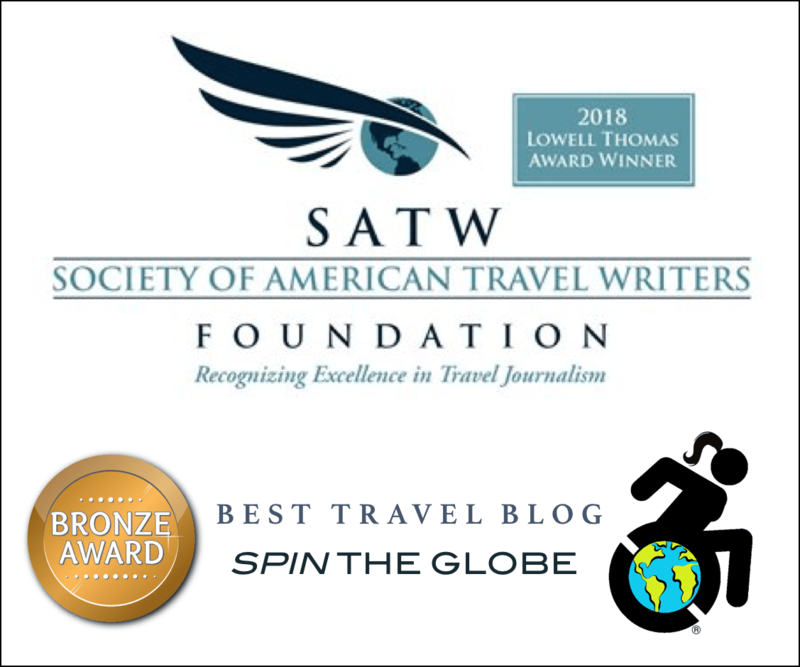 Contact me at Spin the Globe/Travel to find out how I can get you there!